Confined work spaces can be found in almost any workplace. Examples of confined spaces include sewers, utility vaults, silos, vats, hoppers, tanks, pipes, truck or rail tank cars, aircrafts, boilers, access shafts, manholes, manure pits, ship holds, tunnels, and storage bins. There are several atmospheric hazards that workers can encounter when entering a confined space. Because the most common atmospheric hazards associated with confined spaces are oxygen deficiency, oxygen displacement, flammable atmospheres and toxic gases. 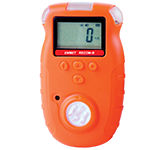 ENMET offers both portable and fixed single and multi-gas detection instruments for confined space monitoring. 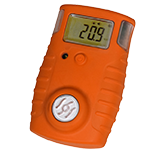 In addition, the RECON/4, our popular four gas portable detector is an economical solution for workers to keep on hand for confined space entry and monitoring. 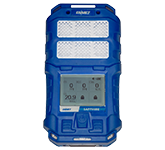 Furthermore, our fixed systems can be installed with integral or remote sensors to continuously monitor a confined space and warn personnel when hazardous conditions exist. 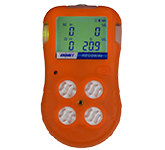 Also all of our confined space monitoring systems have audio and visual alarms and can be customized to detect a variety of hazardous gases and vapor depending on a customer’s unique requirements.